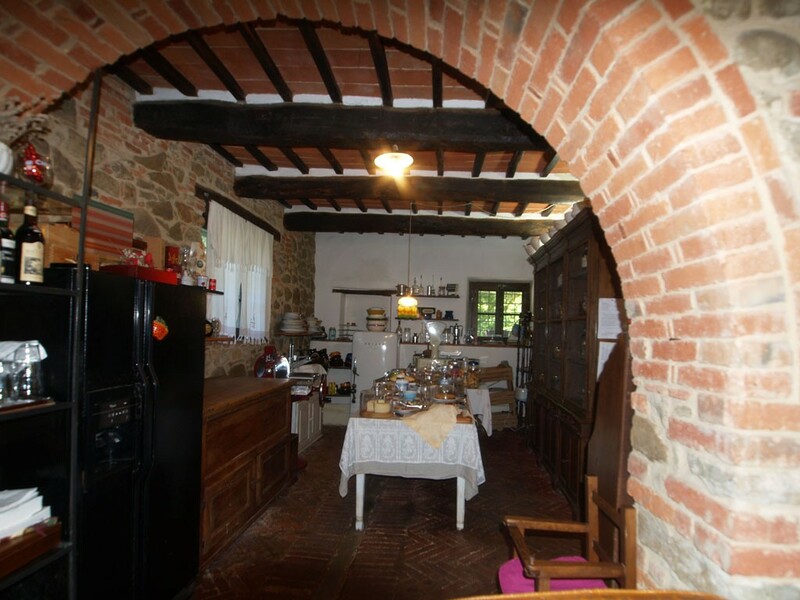 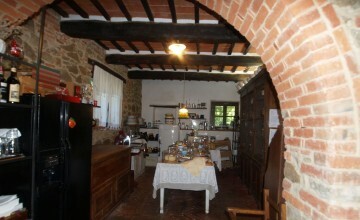 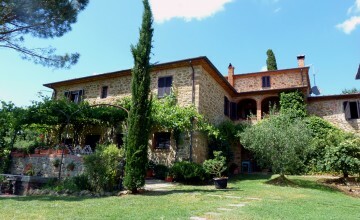 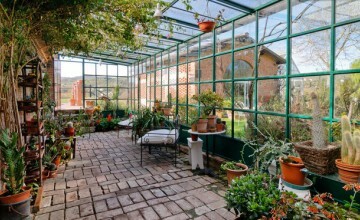 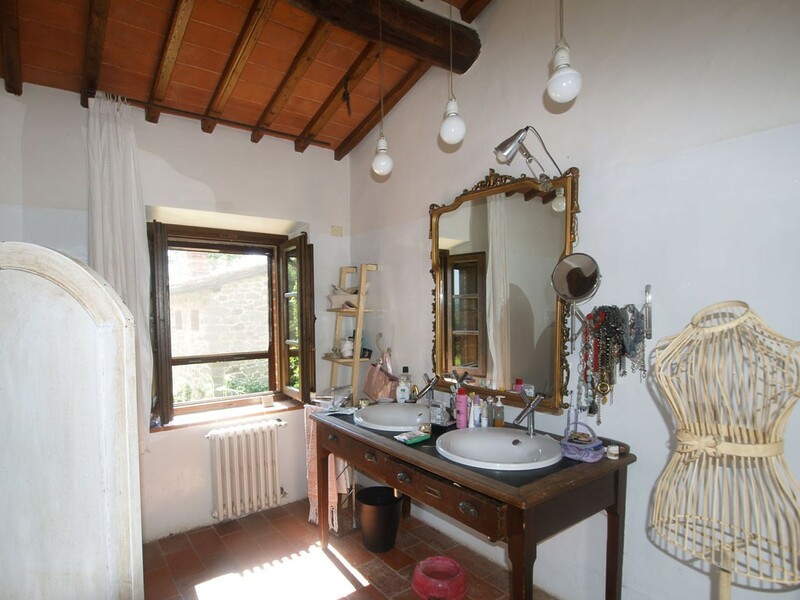 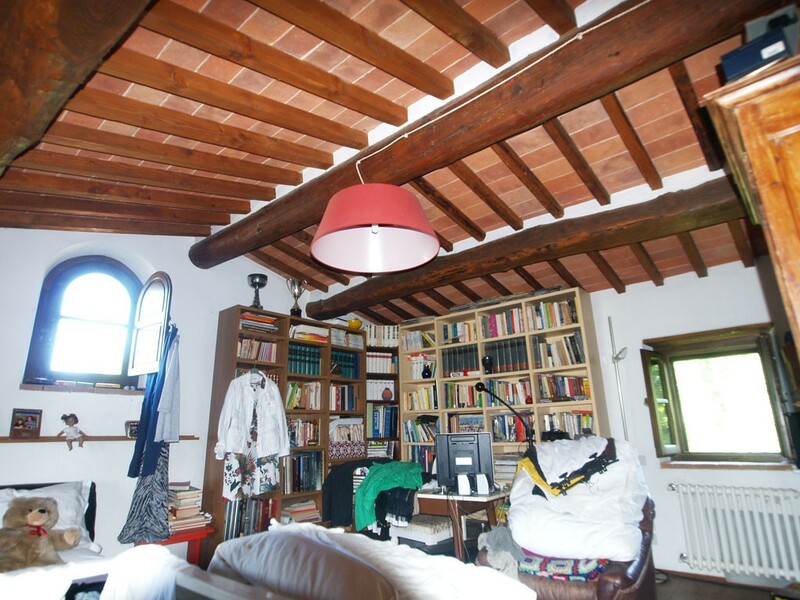 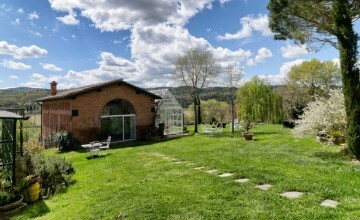 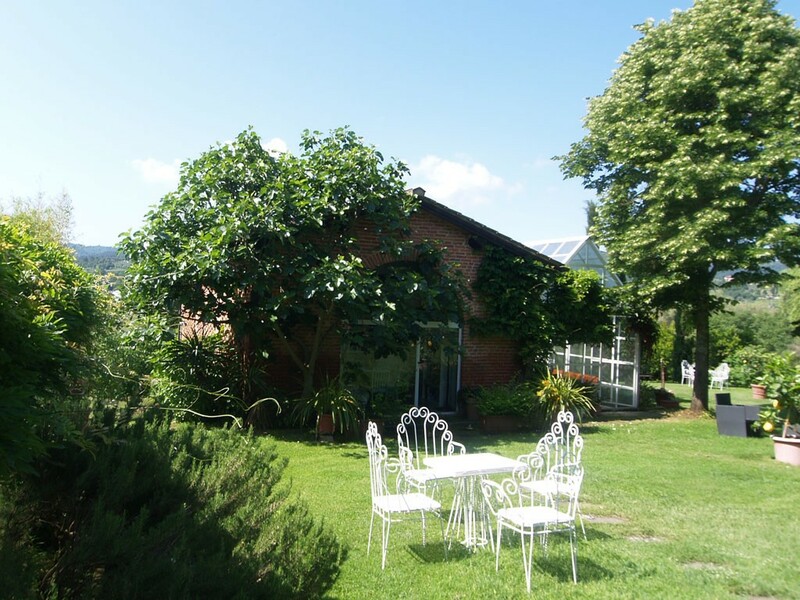 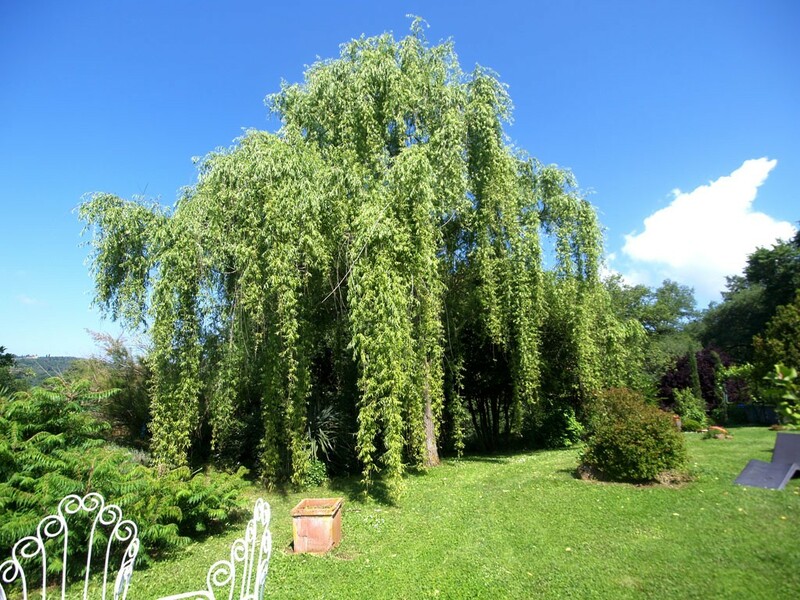 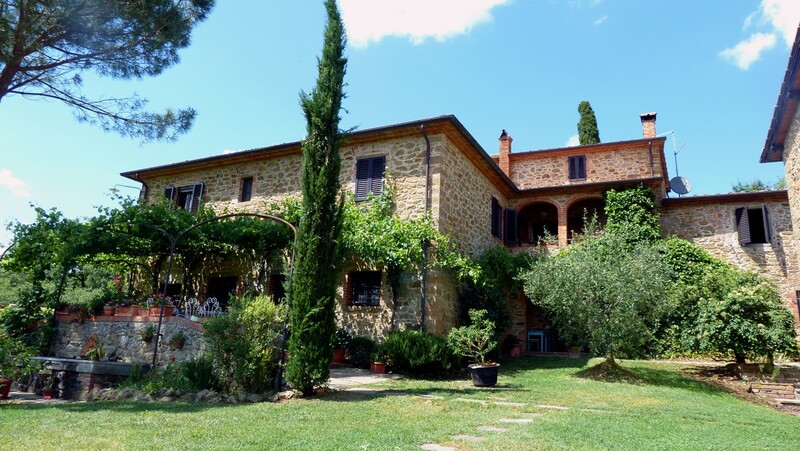 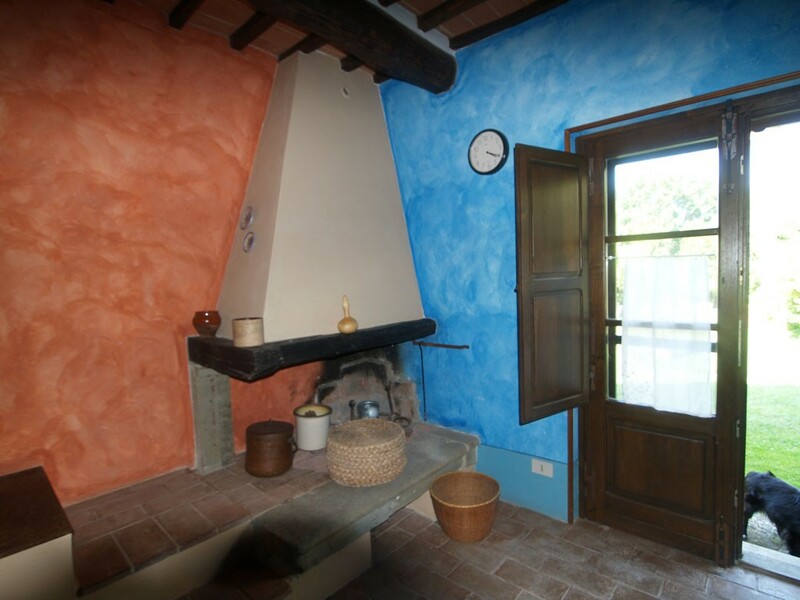 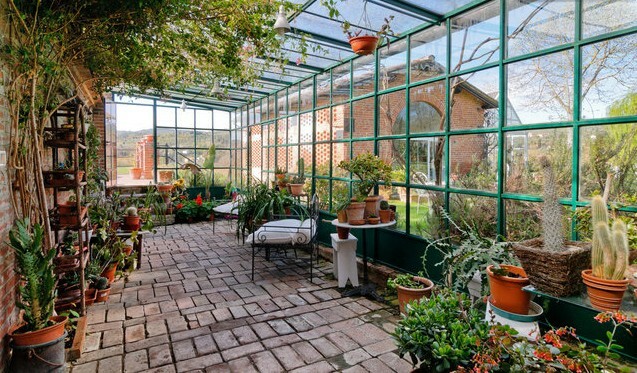 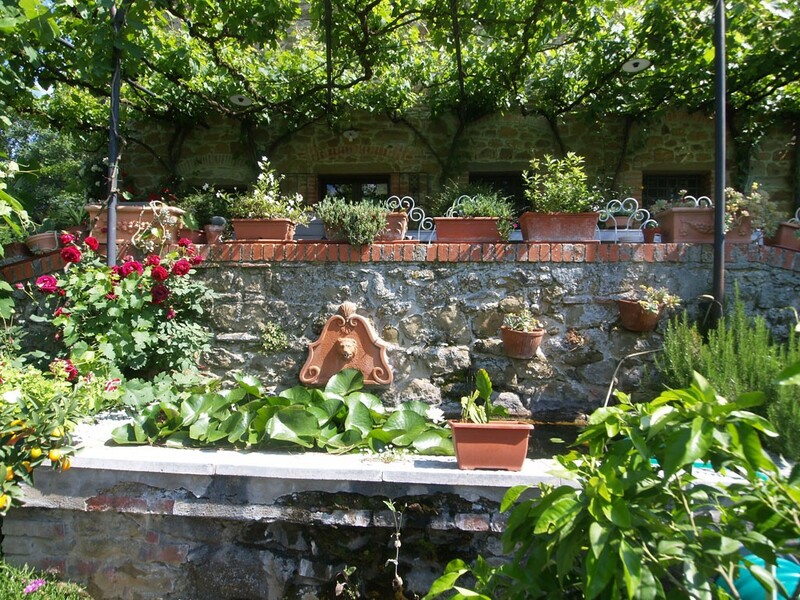 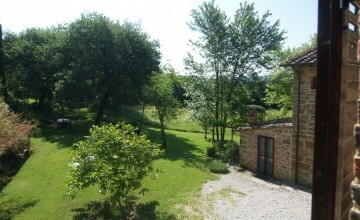 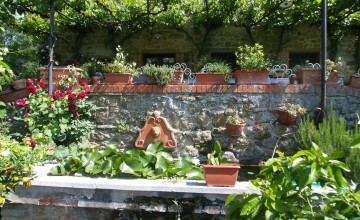 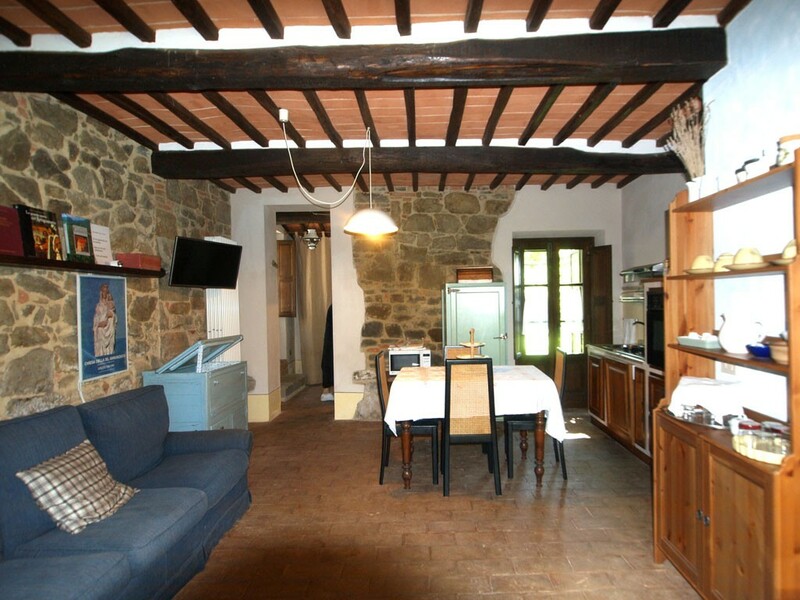 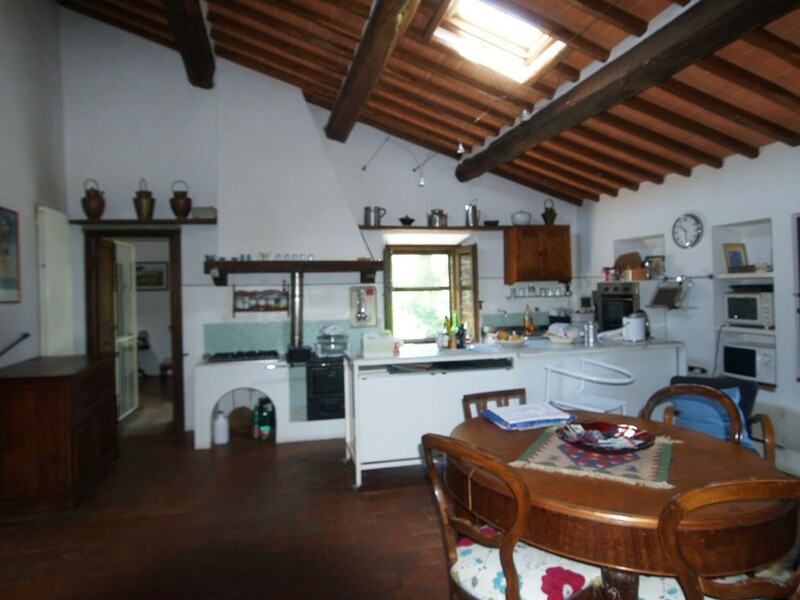 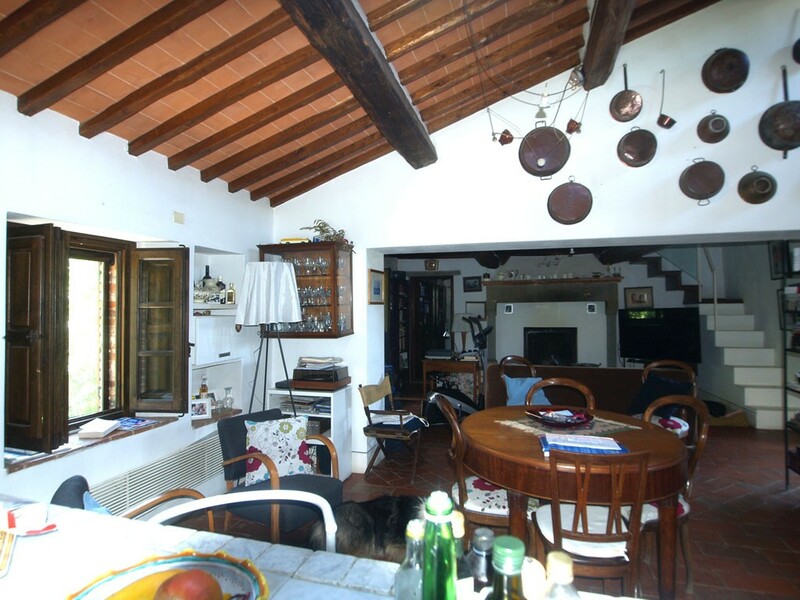 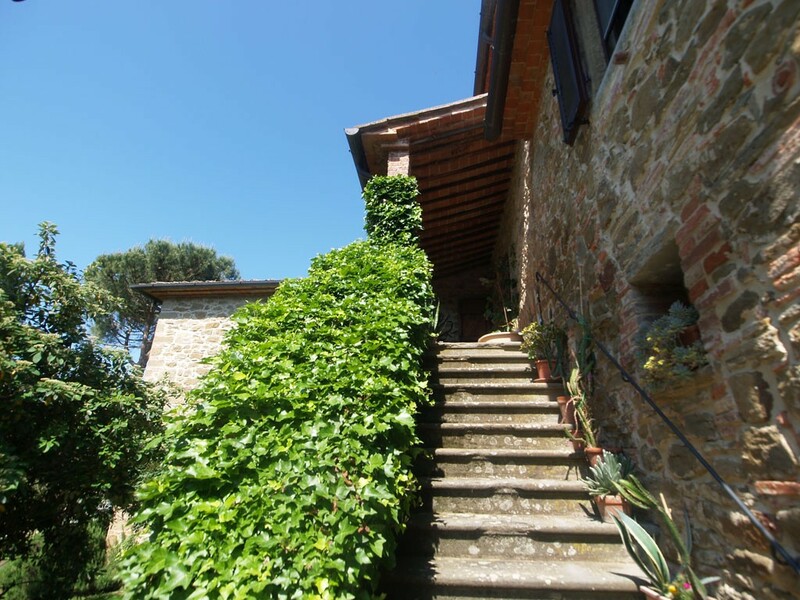 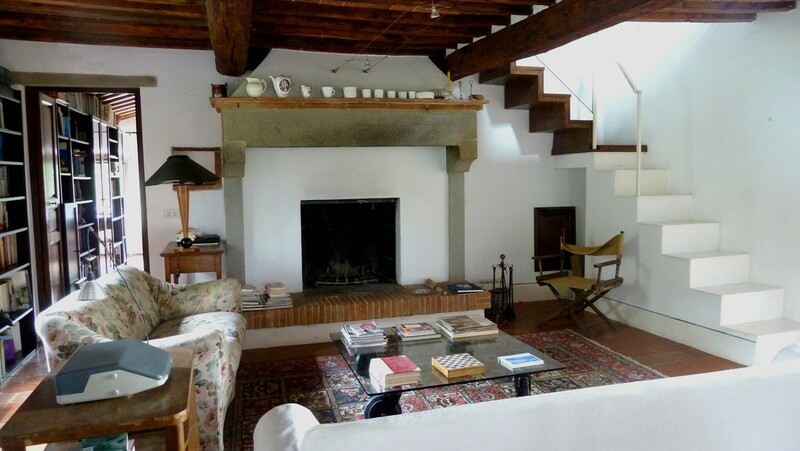 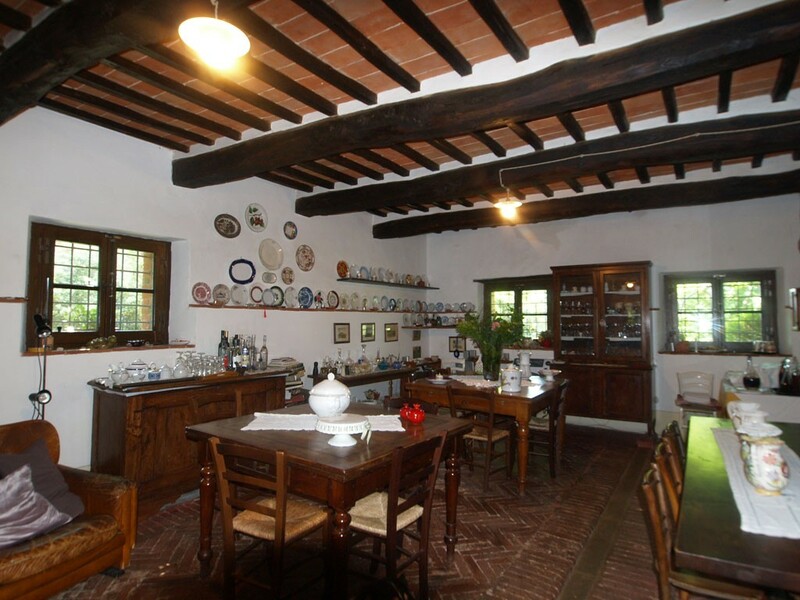 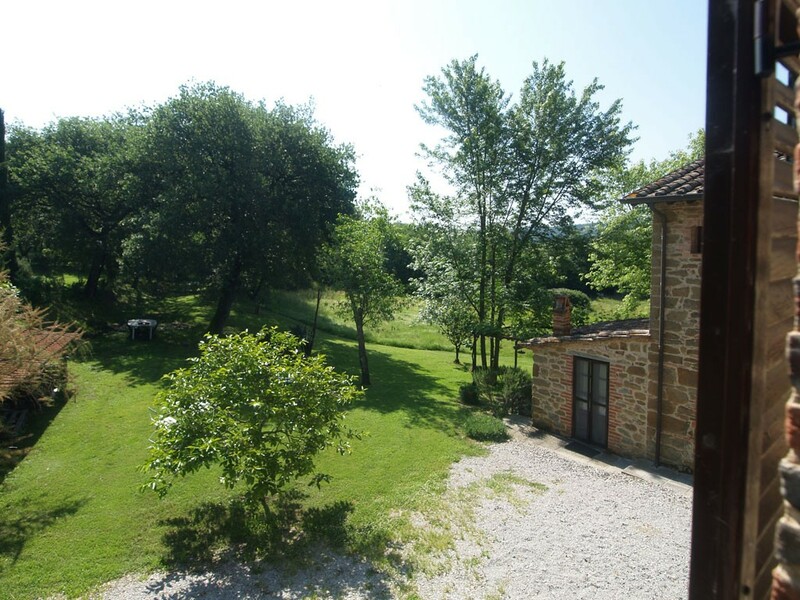 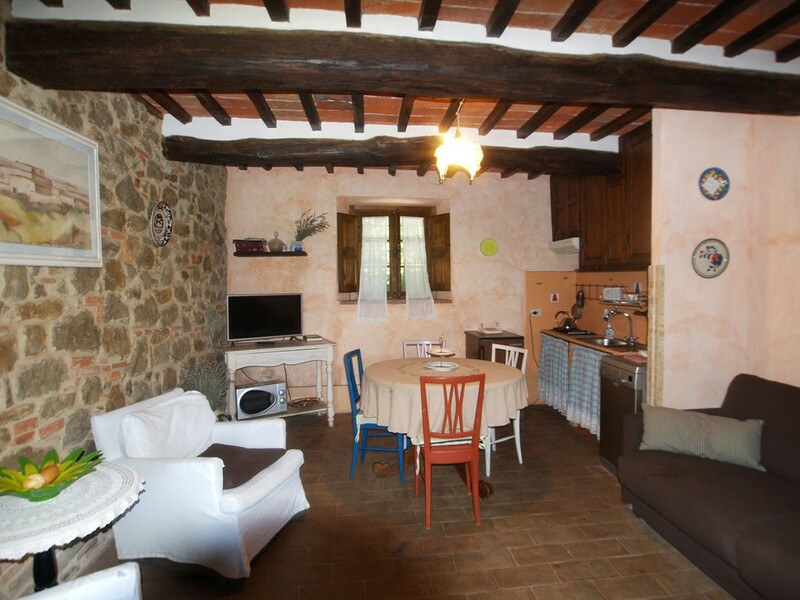 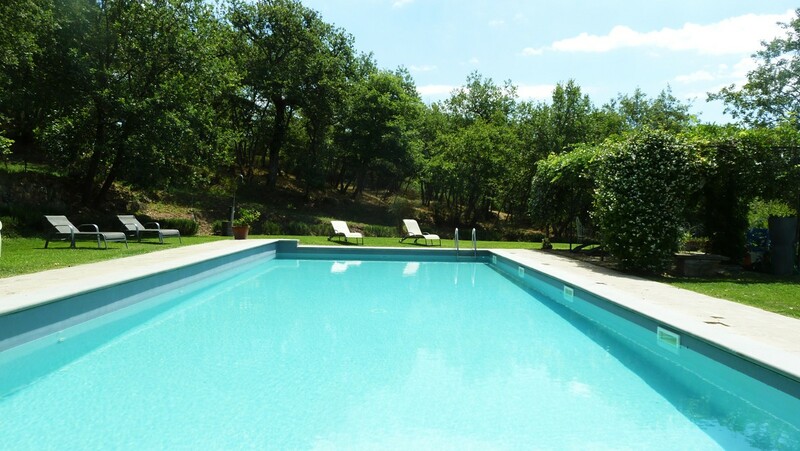 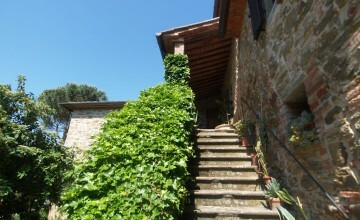 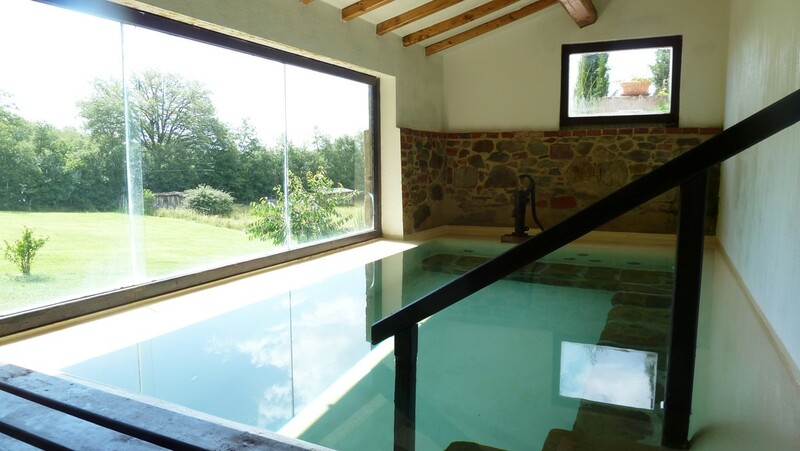 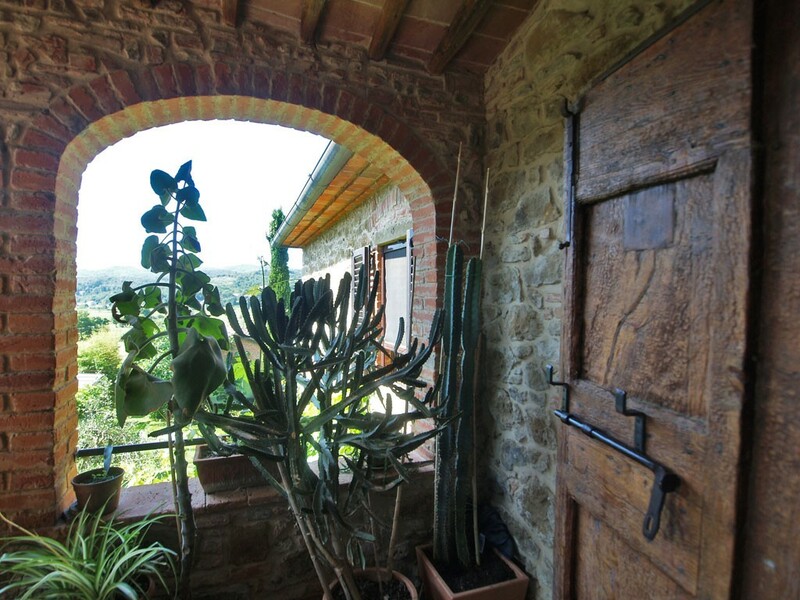 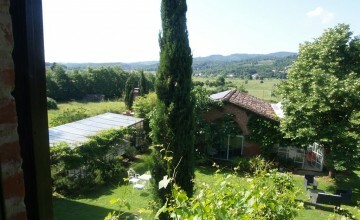 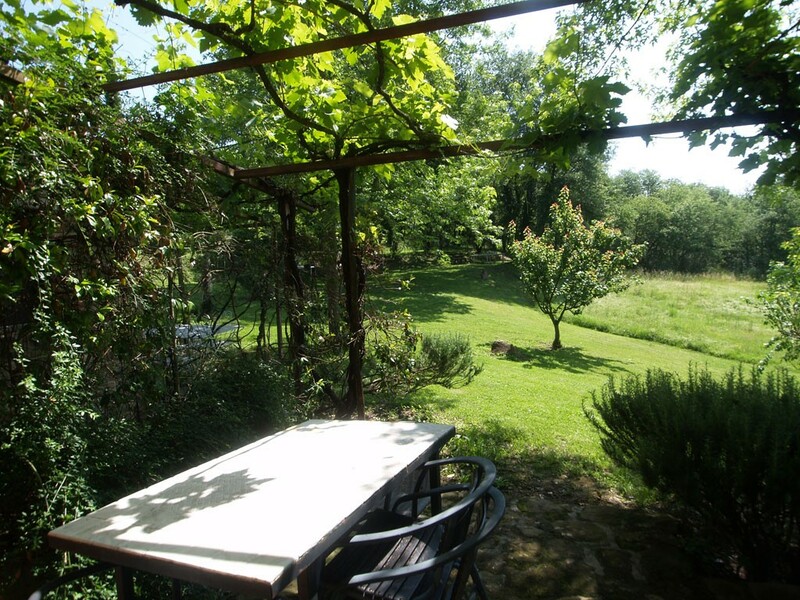 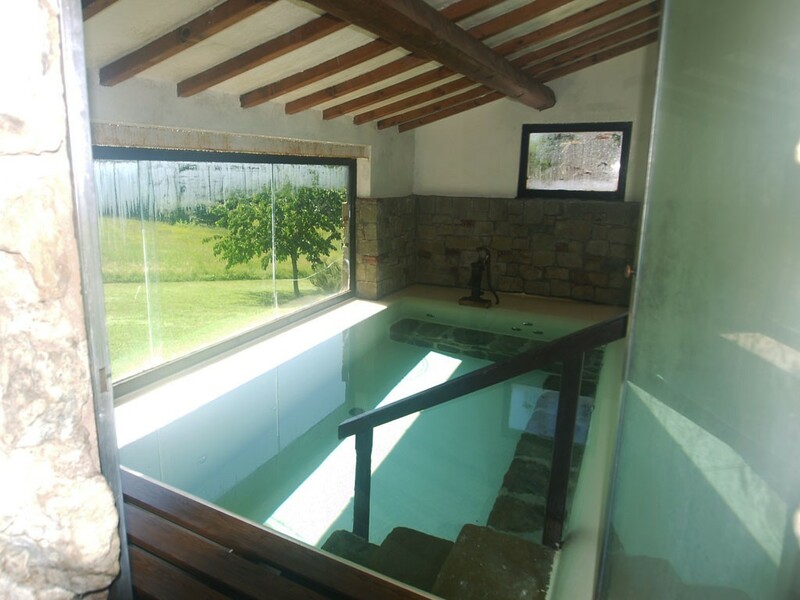 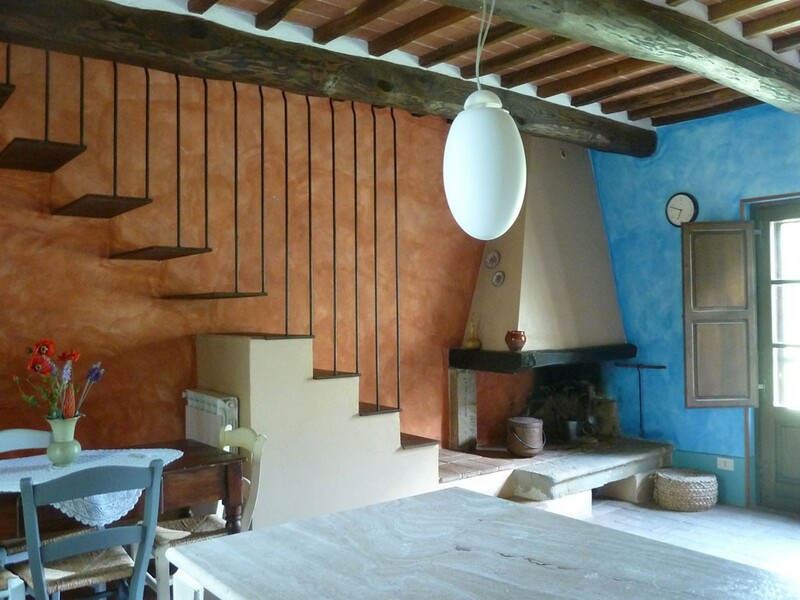 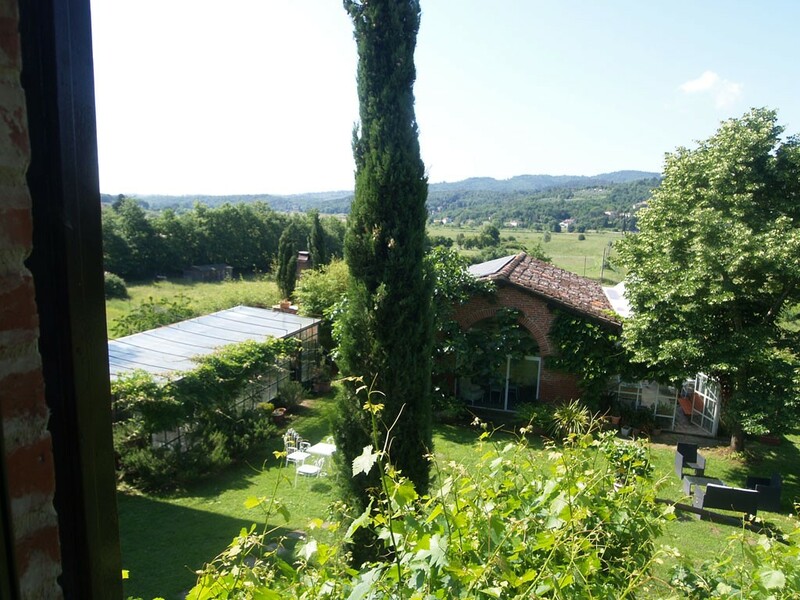 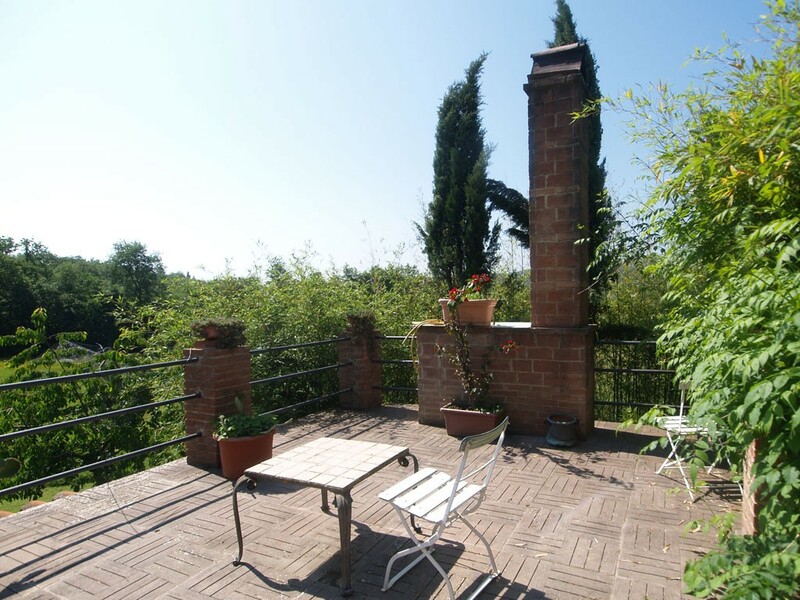 The property is located in a hilly and panoramic position, between Monte San Savino and Civitella in Valdichiana, close to the hamlet called Ciggiano. 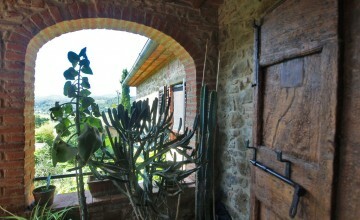 It consists of 5 hectares of land and several buildings measuring in total 850 sq.m. 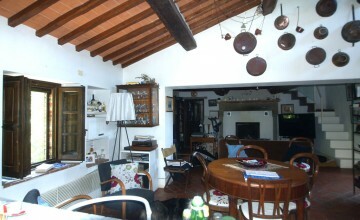 The main house, 450 sqm. 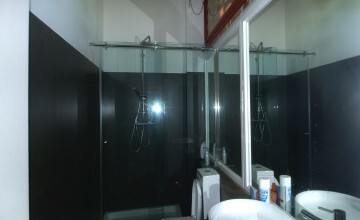 is divided into three units. 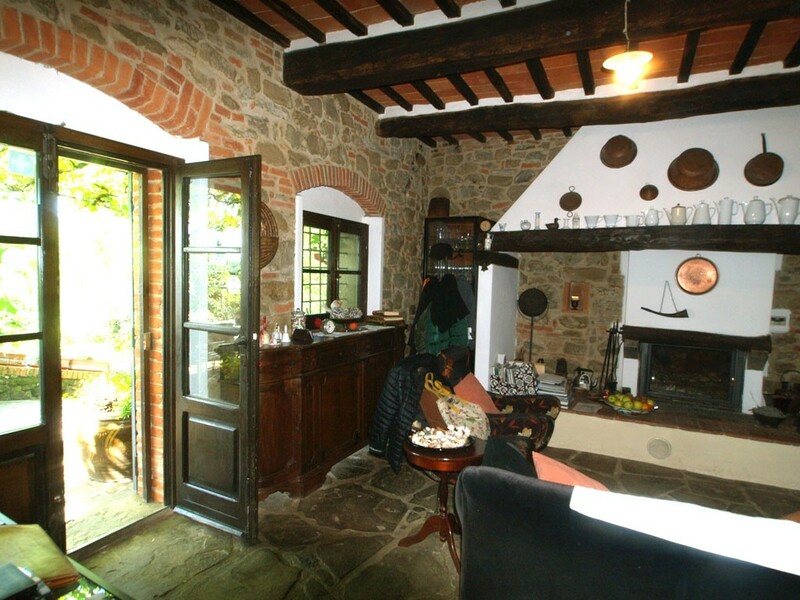 The biggest unit consists of an entrance hall, sitting room with open fire place, dining room, kitchen with fire place and wood oven and bathroom on the ground floor. 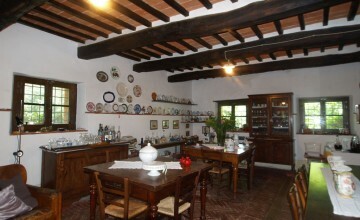 This part is used as common part for all guests, where breakfast and other meals are cooked and served. 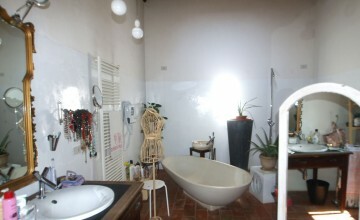 On the first floor there are two, large en-suite bedrooms. 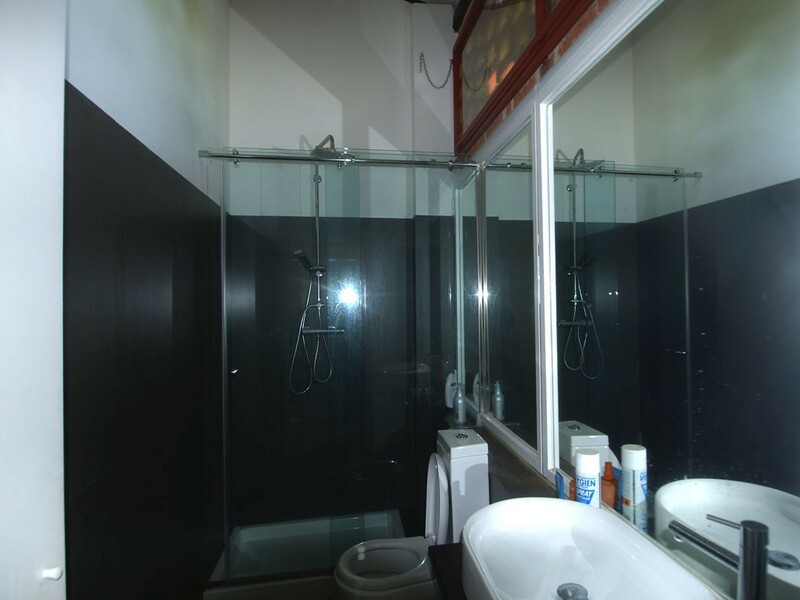 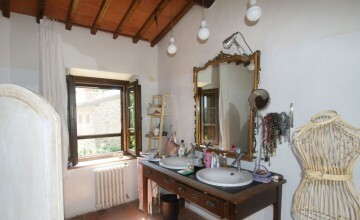 The second apartment lies on the ground floor and has a sitting room with kitchenette, bedroom and bathroom. 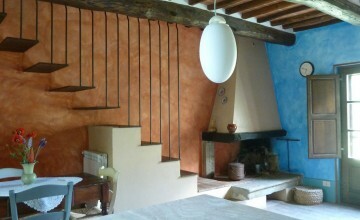 The third apartment, used by the owners, is on the first floor with access through external staircase. 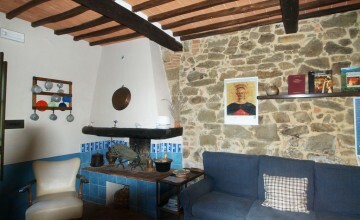 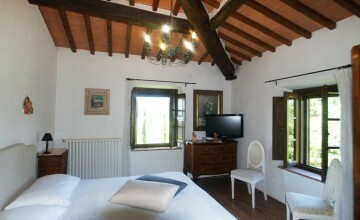 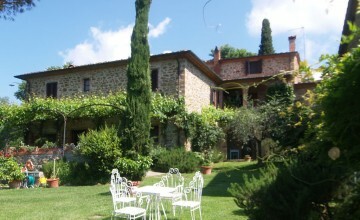 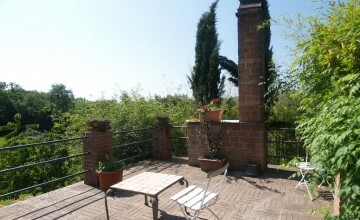 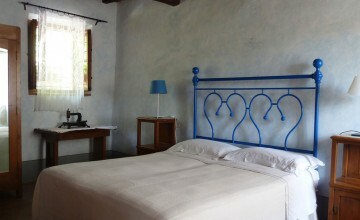 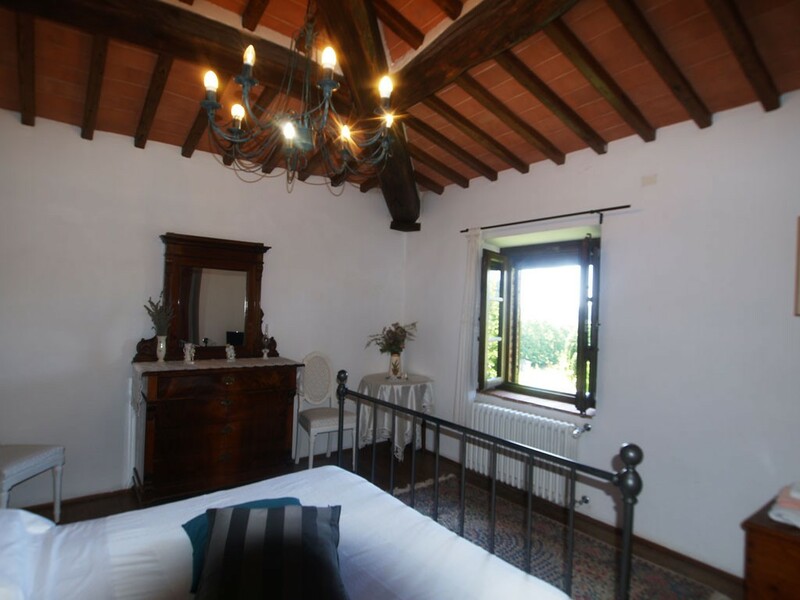 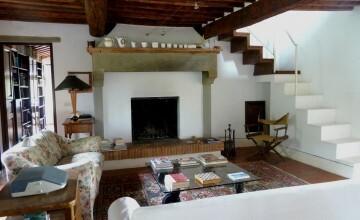 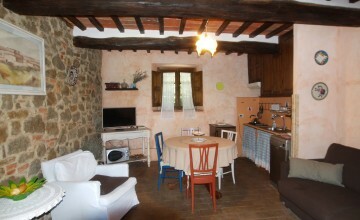 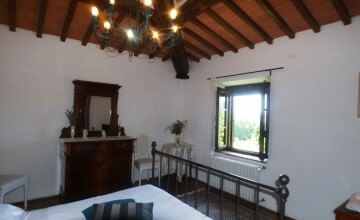 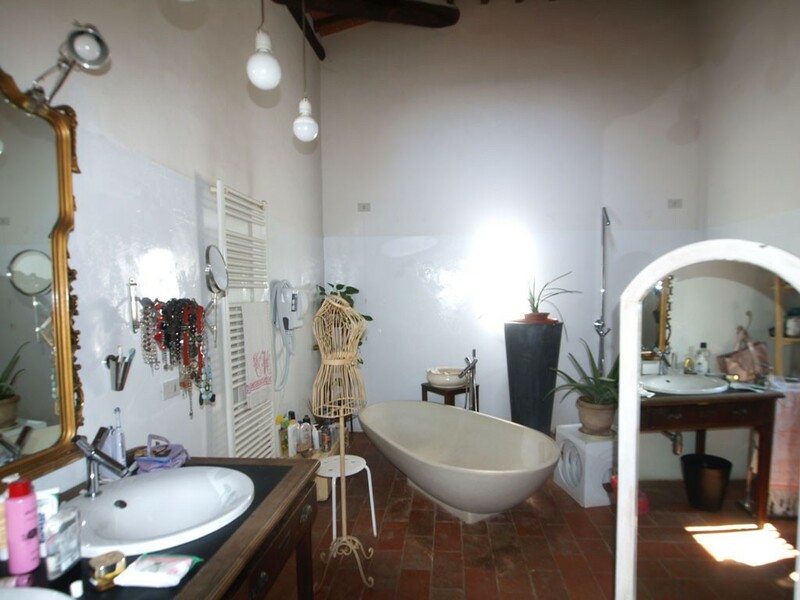 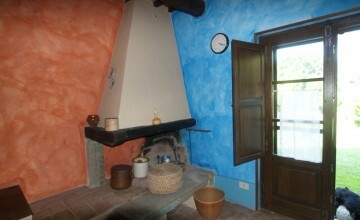 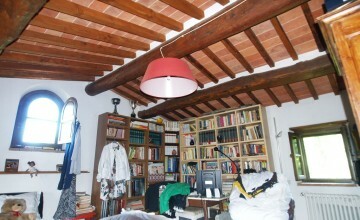 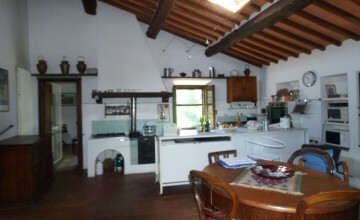 It has a large sitting room with kitchenette, bedroom, bathroom, room in the tower, walk in wardrobe and panoramic loggia. 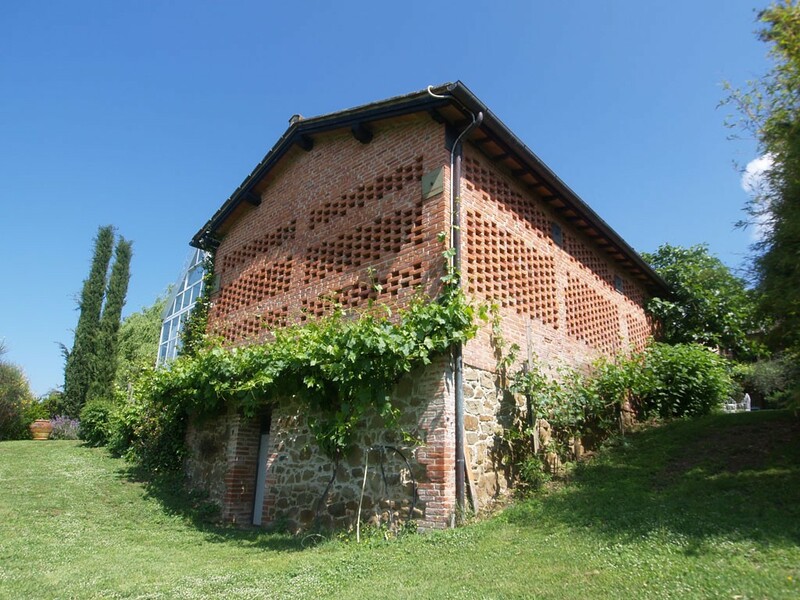 Former tobacco drier was turned into living space with two apartments. 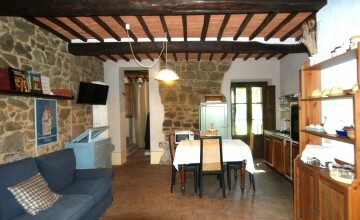 The bigger apartment has two bedrooms, two bathrooms and sitting room with kitchenette and fire place. 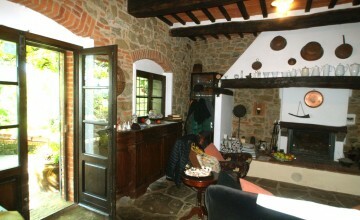 The smaller one has only one bathroom, one bedroom and reception area with kitchenette and open fire place. 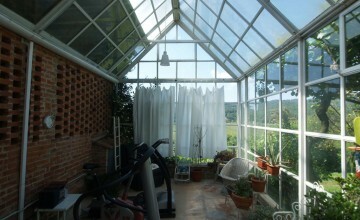 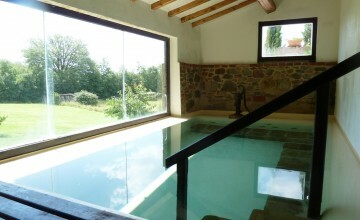 Another of the buildings was transformed into recreation are with an indoor heated pool and large winter garden/terrace. 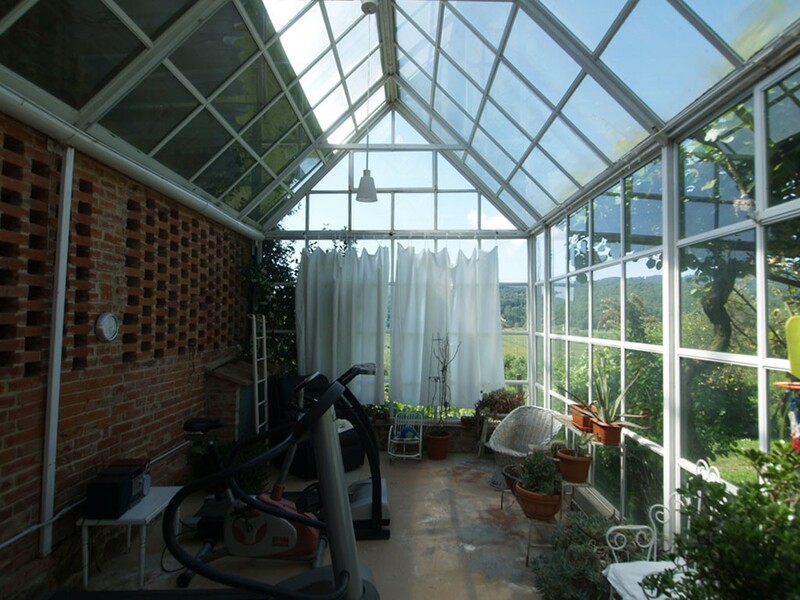 Former barn was turned into a nice study with attached winter garden. 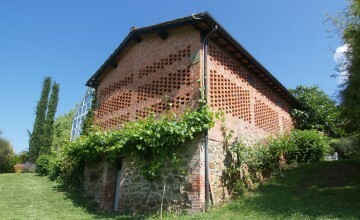 Following two buildings are used as storage spaces, technical rooms and laundry. 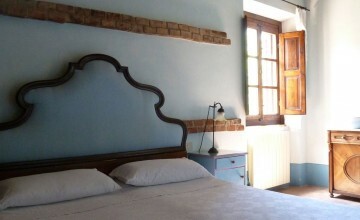 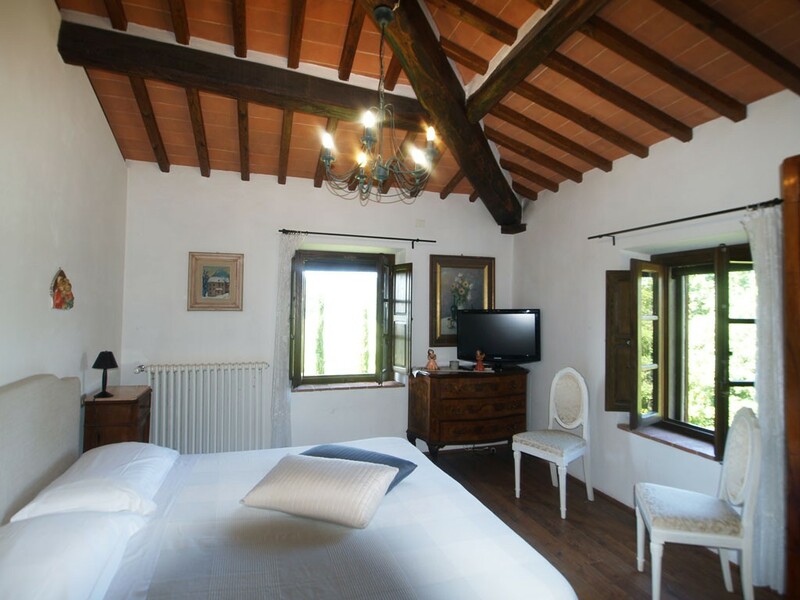 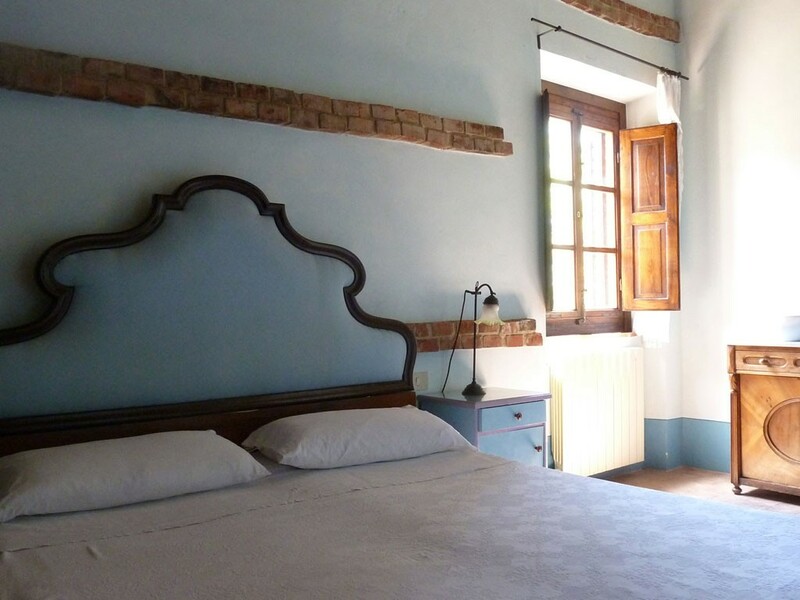 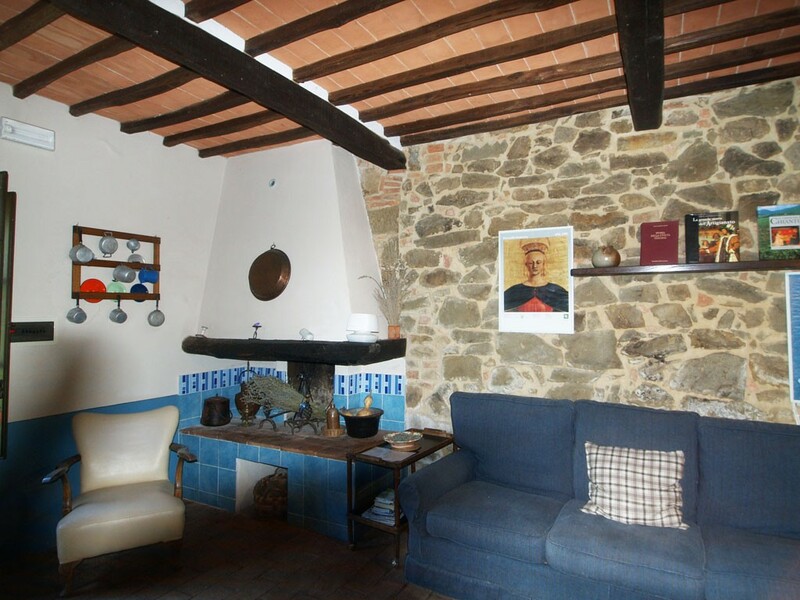 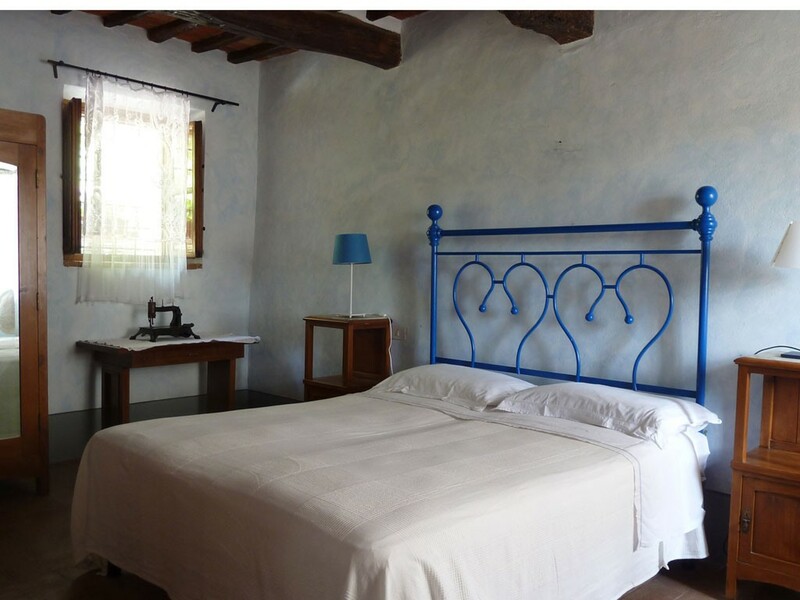 The first four buildings have been finely restored and furnished with great taste with typical, local furniture and some modern pieces of good quality. 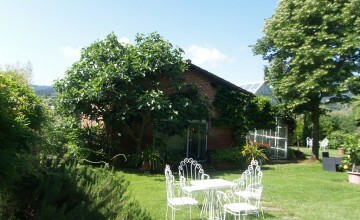 The mature park and garden surround the buildings. 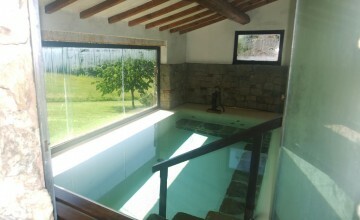 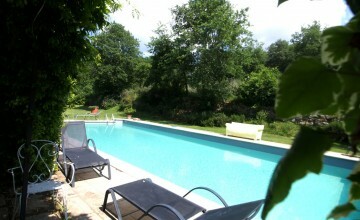 A large, panoramic pool was realized nearby. 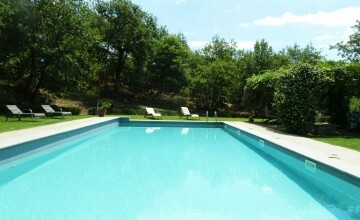 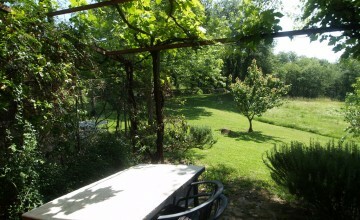 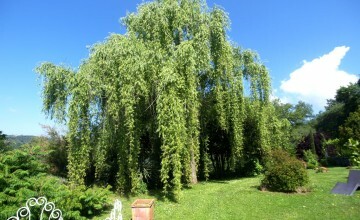 The land consists of woods, olive groves with 100 tree, fruit orchard and a small vineyard. 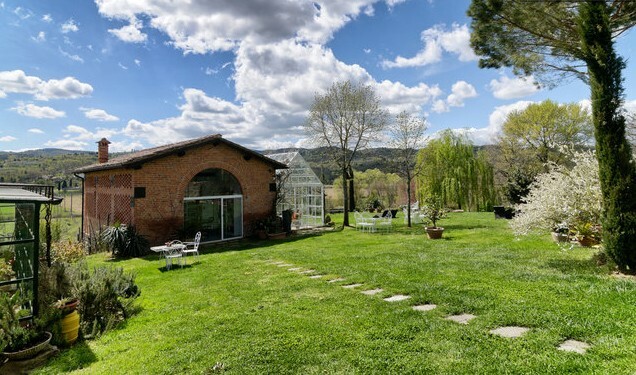 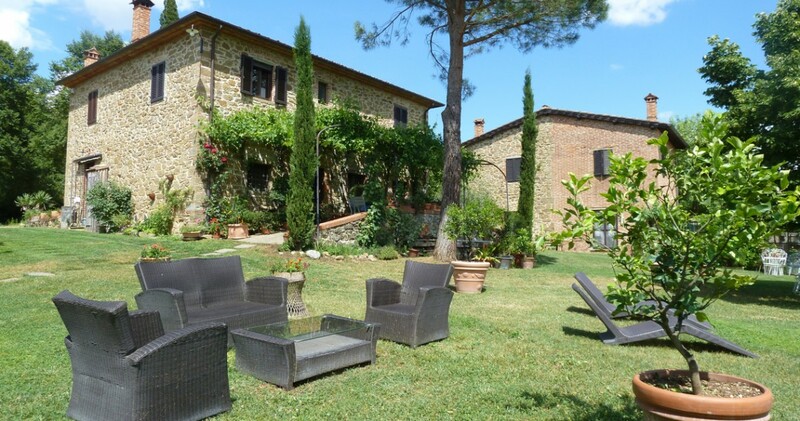 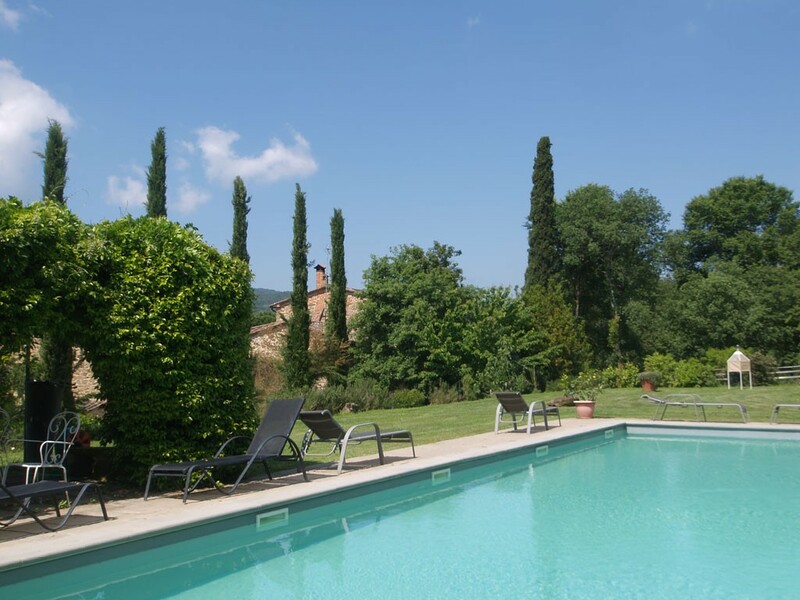 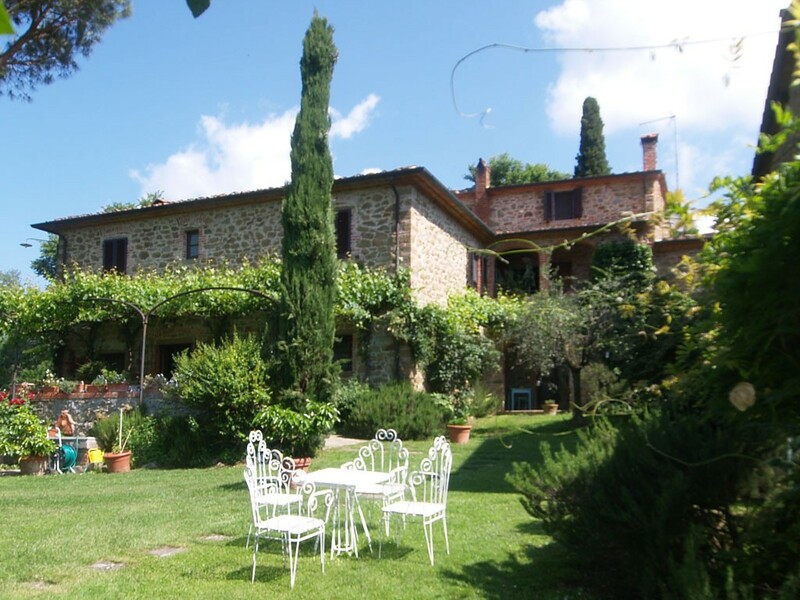 Distances: Ciggiano with basic services – 1.9 km, Civitella – 6.6 km, Monte San Savino with all services and A1 motorway exit– 6.8 km, Arezzo – 24 km, Siena – 52 km, Florence – 78 km.